I will be squawking hot stove Yankee baseball with Mike Lindsley's In the Cell With ML on Syracuse's The Score 1260 at 3:30 p.m. today. If you are in the Syracuse area, you can listen to me on 1260 AM on the radio. If not, check out the station's web site and listen to me there. Thanks! 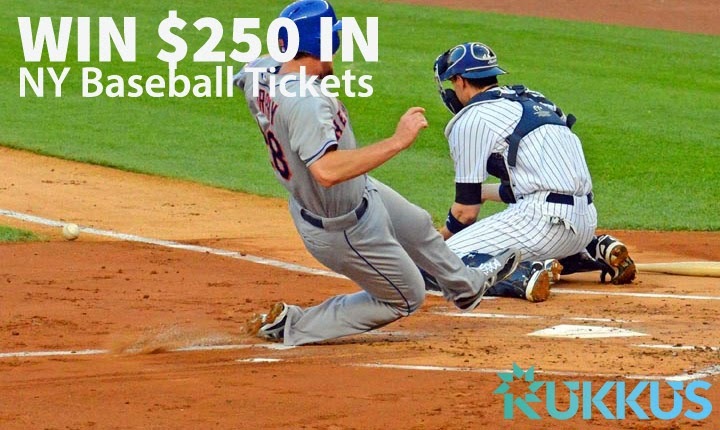 This $250 ticket contest is causing a Rukkus! Subway Squawkers is celebrating the new year by teaming up with our buddies over at sports ticket search engine, Rukkus, to get you Yankees and Mets tickets for free. 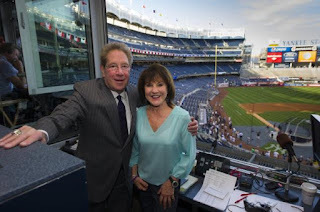 Want to see the Yankees play the Sox? The Mets play the Phillies? How about tickets to the subway series itself? No matter what you're looking for, we'll get you to the game. Click here to learn more! The contest runs until January 2. Just wanted to let our readers know about this upcoming hot stove event. Mark your calendars! Looking forward to seeing this. 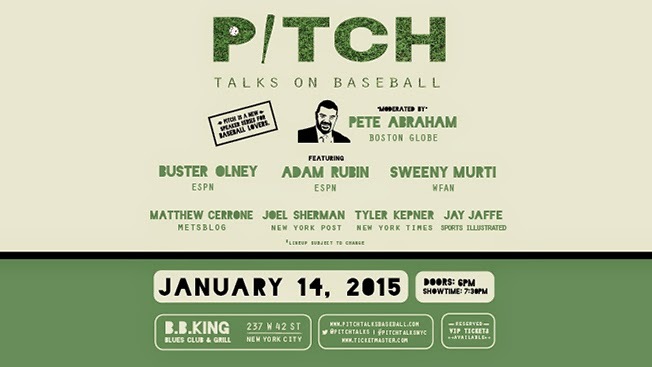 PITCH: Talks On Baseball, a new speaker series about baseball, today announces the full lineup of baseball insiders for its first scheduled US event in NYC on January 14, 2015 at B.B. King Blues Club & Grill. Launched in Toronto in 2014, PITCH: Talks On Baseball connects diehard baseball fans with sports insiders by hosting informed and entertaining discussions on all aspects of the game.